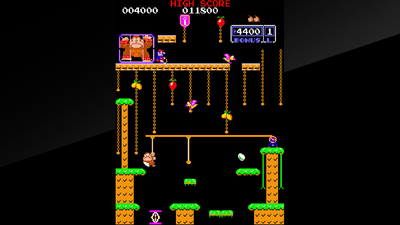 “DONKEY KONG JR.” is an action game released by Nintendo in 1982. 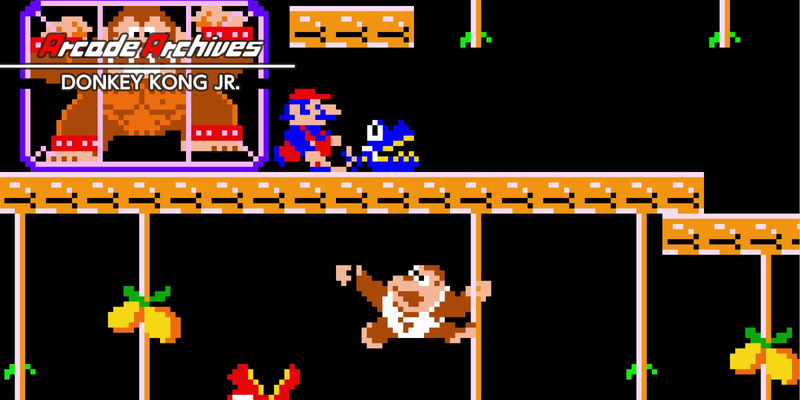 Donkey Kong has been captured and caged in his latest encounter with Mario. 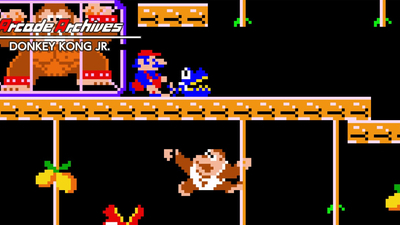 Donkey Kong Jr. is on his way to set him free! 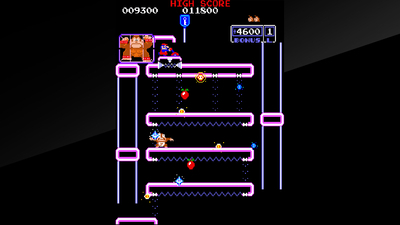 Skillfully utilize jumps and the cranes to avoid enemies, get to the top, and steal the cage's key from Mario. Overall, I'm mostly impressed with the Arcade Archives wrapper as it lets players customize the experience or compete online. 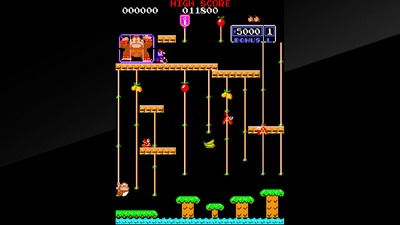 Donkey Kong Jr. itself is fun but much more challenging than the original Donkey Kong.